Leading Manufacturer of metal bag label, metal tags, metal label for bags, ladies bag label, metal brand label for ladies bags and bags tag from New Delhi. 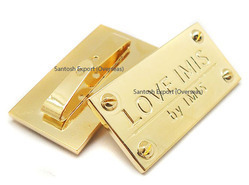 We manufacture exceptional quality metal bag tags for Ladies Handbags, Purses, Clutch walllets.These are used for branding on the bags,purses, clutch bags and wallets. 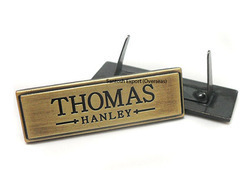 Manufactured in custom design these are crafted in pure brass with very high quality polishing and plating. 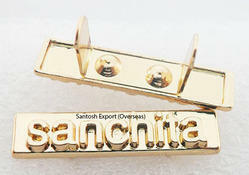 We manufacture exceptional quality metal bag tags for Ladies Handbags, Purses, Clutch walllets. 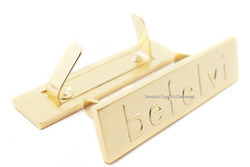 These are used for branding on the bags,purses, clutch bags and wallets. 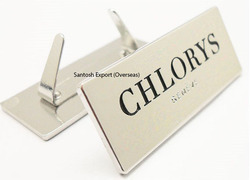 We manufacture exceptional quality metal labels , metal bag tags for Ladies Handbags, Purses, Clutch walllets.These are used for branding on the bags,purses, clutch bags and wallets.